Starting your own business can be difficult. There are so many things you need to do and so many different costs involved, it can be an immense financial strain. While you may try to cut costs and DIY as much of it as possible, there are two things you should never DIY: web design and SEO. Your website is a core element of your business. It’s your way of showing the world who you are and differentiating yourself from the competition. The successes of your website is reliant on not only what you put on it, but also your overall search engine optimization strategy. Your SEO strategy will help you achieve optimal web page rankings in the search engine results page. Why Shouldn’t I Do My Own Web Design? Your website is there to represent you and your brand. While DIY is fun, we often forget to include the message we’re trying to convey to potential customers. For example, if you decide you like a website template that’s dark and serious but are trying to promote children’s toys, the message sent is extremely mixed and won’t have an impact on customers. You’ll end up with a high bounce rate of users clicking on your links and leaving your site immediately instead of browsing or even purchasing. SEO friendly web design is also an important factor that you need to take into consideration, and most template sites aren’t all that SEO friendly. There are a few reasons why you should rather stick to professional help instead of attempting to DIY it. With any form of DIY webdesign, especially those that involve pre-existing templates on platforms,there is no room for you to customize your website to your hearts content. It’s a generic layout and possibly a color scheme that someone else is in all likelihood also using. There is no originality or individuality when anyone can pick the same template as you.Your site will simply become part of a very saturated crowd that all look and function in a similar way. You’ll see the word“free” on a website builder platform and you may think you’ve struck gold, but you haven’t. Yes, there are no upfront costs involved when using a platform like this, but over time you’ll see the negative impact it has on your business. Aside from the fact that you’ll end up paying to remove the gigantic banner ad with the name of the website builder on various places on your new website, you’ll also deal with a variety of advertisements from other websites also popping up on your page. Your webpage was free and the platform needs to make money, advertisements are how they’ll do it. It can send the wrong message when these advertisements are either potential competitors or something totally un-related to your business values – imagine a preschool website with vape product advertisements! It just does not work. The time you’ll spend constantly attempting to update and maintain your website would be better spent focusing on building your business. Any attempt you make to add in an extra feature to your website on one of these DIY platforms will break your bank as the site’s developer can and will charge you a ridiculous amount to modify anything. Keep in mind that some site builders will limit your number of free pages before you’ll need to pay for access to more pages. Why Shouldn’t I Do My Own SEO? SEO and web design go hand in hand when it comes to ensuring that your business is a success. A well-thought out SEO strategy will ensure that your page ranks within the first three results pages, but ideally you want to be on the first results page. SEO is not as easy as it’s made out to be and could take a lot of time to learn– which takes time away from actually running your business. SEO is also constantly changing so it is not something you can stop learning about. You have to keep up with search engine algorithm updates and ensure your SEO strategy remains compatible. SEO experts are expert for a reason, here are a few reasons why you should rather consult an expert instead of attempting a DIY strategy. Google takes its pride in being able to provide users with thousands of relevant quality content results for users who are searching for specific terms. Google makes use of two algorithms known as Penguin and Panda. Panda targets low quality websites with poor page architecture and content. Penguin identifies and targets websites that have poor backlinks. If your website is not up to standard, these two algorithms are able to penalize your site and unfortunately, it’s a long uphill battle to get back into the search results pages. 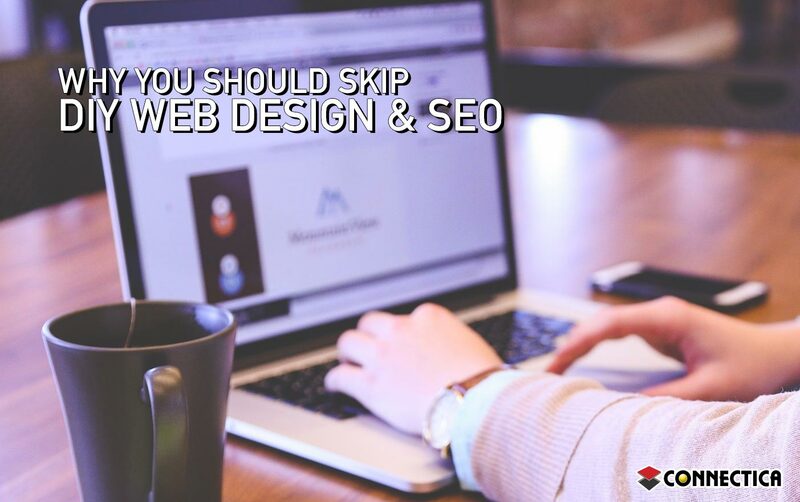 If you DIY your SEO or web design, there’s a great chance that your website architecture, content and overall backlinks will not be up to Panda or Penguin’s standard. Trying to recover from a penalty can be costly as you will need to enlist the services of professional web designers and SEO experts and even then you may not be able to get your site back onto the search results pages. If Google isn’t a fan of your site, the chances that customers will be able to find it are even slimmer. Studies show that the majority of consumers will not search past the first three results pages. Everything that contributes to your website ranking such as titles, meta descriptions, keyword research and linking all contribute to how your site is ranked. If your site is not fully optimized, then it won’t rank anywhere near the first three pages. If there is one thing, we understand it’s the need to save as much money as possible. However, saving money on your website now will cost you a lot more in the future, especially if your website is penalized by Google’s algorithms. Using the services of a professional company for web design and SEO is one of the best things you can do for your budding business. You can rest easy knowing that your website meets the requirements for Penguin and Panda and won’t be penalized. An added benefit is that the potential returns are limitless when you use the right professionals to build your website and implement the best SEO and digital marketing strategies propelling your business to new heights.